Multi-Languages Cafe is a free space to practice foreign Languages. Join us and feel free to invite friends into our tables of different languages. 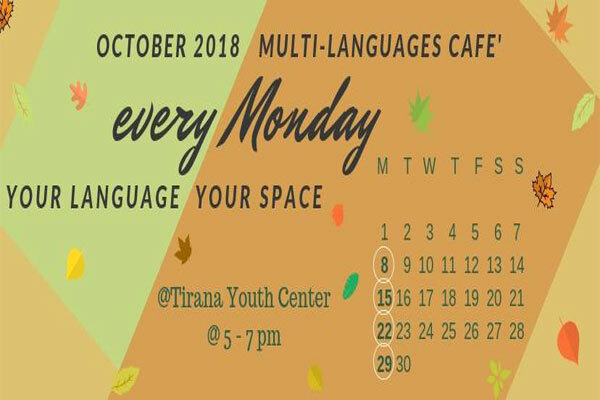 Every Monday starting from 08.10.2018 we will be @Tirana Youth Center from 5 to 7 pm.